South Korea would need about 3.9 trillion won ($3.44 billion) to jointly host the Olympic Games in 2032 with North Korea, according to an estimate by the Seoul city government Tuesday. The Seoul Metropolitan Government said it recently submitted a proposal with the projection to the city council, as part of its preparation for a joint bid with Pyongyang to host the international sports festival. The Seoul Metropolitan Council is expected to discuss the proposal and to refer it to a plenary session slated for Thursday. South Korean President Moon Jae-in and North Korean leader Kim Jong-un agreed to pursue a joint bid to host the 2032 Summer Olympics during their latest summit held in Pyongyang in September. The city’s projection includes costs for holding 33 events during the 15-day event. But the actual expenses are expected to be much higher, as the estimate excluded investment costs for social overhead capital facilities and other infrastructure. The cost North Korea would have to bear is not clear. As for the PyeongChang Winter Olympics held in Gangwon Province in February, the total expenditure was 14 trillion won, with about 12 trillion won reportedly spent on building infrastructure, such as railroads and stadiums. The projection was derived by multiple private companies and institutes upon request, the metropolitan government said, adding that it was the first time necessary expenses for the inter-Korean sports event have been calculated. The city has already lodged a formal application with the Korean Sport and Olympic Committee. Seoul also proposed the idea of using the country’s fifth-generation network and high-end technologies to hold the opening and closing ceremonies of the Olympics in the two Koreas at the same time. “If the high-speed communications network can be installed in the North by 2032, it would allow the opening and closing ceremonies to be held in two hosting cities simultaneously, for the first time in the Olympics’ history,” the city government said. The two Koreas have not decided yet which cities would host the international event, but Seoul and Pyongyang are likely candidates, an official from the metropolitan government said. “Seoul is a South Korean city that is closest to Pyongyang, which means we will be able to cut costs by using the existing infrastructure, networks and distribution routes,” the official said. The proposal also estimated that about 28,000 athletes, officials and reporters from around the world would take part in the event. 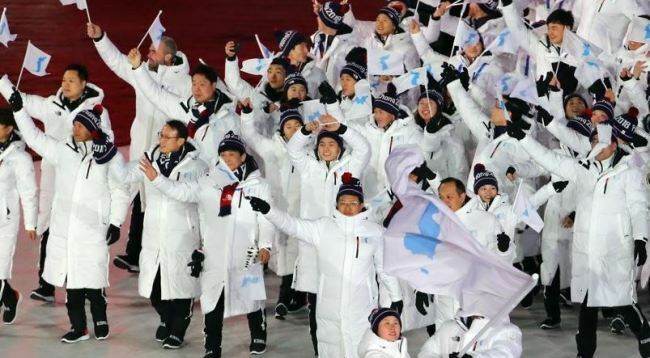 Seoul and Pyongyang are expected to hold talks with the International Olympics Committee on the plan in February next year, according to the city government. Other countries that have expressed interest in hosting the Summer Olympics 2032 include India, Germany and Australia. The IOC is scheduled to decide on the host city in 2025.